The stomach is a very acidic environment. 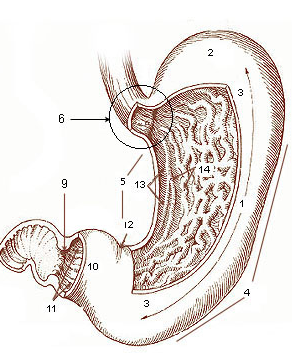 The stomach contains gastric acid which contains hydrochloric acid. This stuff can burn your skin, clothes, and other objects. The reason that it doesn't damage the stomach is because your stomach is lined with mucus. Without this mucus the stomach would digest itself.